Sometimes it can be hard coming up with good breakfasts on the Daniel Fast, especially if you are used to eggs. I made what I thought was a delicious breakfast and it was quick. Heat a skillet over medium heat. Add oil and heat for a couple minutes. Add the onions and green peppers and stir fry for 2-3 minutes. Add tofu, garlic salt and Italian herbs. Continue to cook until vegetables are soft. This was so tasty. The tofu is about the same consistency as egg whites and it soaks up the flavors of whatever it’s being cooked with. Very easy, tastes great, and lot of protein. Yes, Natural Salt such as Kosher Salt and Sea Salt is allowed on the fast, as well as all spices and seasonings (additive free). I hope this helps! Dear brethren! I’ve started a Daniel fast and i’m not sure whether salt is allowed or not. You will need to check out all the ingredients as listed on the food label (different from the nitritional analysis). If the ingredients comply with the Daniel Fast Guidelines (available at http://Daniel-Fast.com) then the bars would be okay. 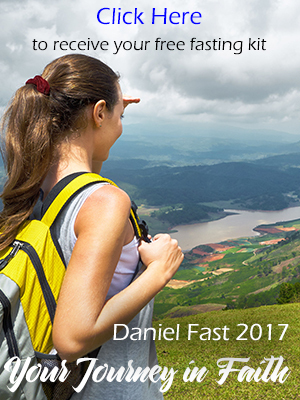 The Daniel Fast is a very healthy way to eat (if you follow the instructions as outlined in the book and here at this blog and my site). You may want to start taking a multivitamin now and then make this part of your health practice even after the fast. Can you eat protein bars while on the fast, the ones in question have no sugar in them but 12 grams of sugar alcohol ? I’ve yet to find mints or gum that don’t include either chemicals or sweeteners. So most people use other ways including fresh mint leaves, parsley, whole cloves, or cinnamon sticks. Also, drinking more water and eating a plant-based diet will naturally keep your breath sweeter. One question that I have and not seen asked, is about breath mints or some sort of sugarless gum to freshen the breath. I started the fast a week ago. Are Triscuits ok? The ingredients are: whole grain soft white winter wheat, soybean oil, and salt. Thank you! Since the bread has sourdough, it is not allowed on the Daniel Fast. The issue isn’t yeast, but rather leavening (of which yeast is a type). Sourdough is just a different type of leaven. There really isn’t any type of raised bread for the Daniel Fast. There is flat bread like chapati, which is made from whole wheat flour, water and oil. No sweeteners is allowed on the Daniel Fast and the only beverage on the Fast is water. So now that you are clear about the guidelines continue on the fast and regard it as a simple mistake. The important thing is to now stay within the boundaries. This is an example of our life in Christ and why we need to be in the Word. As we learn more about His ways, we can change and continue to move forward in becoming more like His image. I am fasting and praying with my Church and we started on Jan 4,2010. I reviewed the blog and I thought that cane juice was not allowed as a beverage. I was also under the impression, you can’t add sugar or eat anything with sugar added. I think I ate something with cane juice or and sugar in the ingredients. I didn’t add sugar as I normal would “pleasant food”. Do I have to start the fasting all over. I didn’t know and must have read the blog incorrectly. Sorry for so many questions. I will purchase the cookbook soon. I left the store already and I still have my receipt. If this is not allowed, could you suggest some type of chemical free bread. Thank you so much for the clarifications on so many topics!! I will begin a Daniel Fast next Monday with my church and this is very refreshing to know that this resource is out here.